Project Artemis is a collaborative endeavor to create open-source video game cheat code generation ("hacking") systems for all platforms that lack one (or a sufficient one). 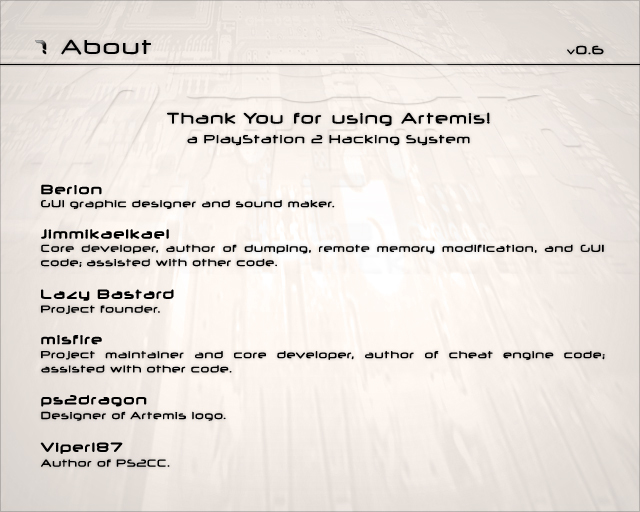 Artemis was originally a project with the goal of creating a Playstation 2 hacking system (RAM read/write/view/compare/patch), to allow creation of RAM-based cheat codes. For an idea of the original project, see History of Project Artemis. Artemis for PS2 is still ongoing in the form of several sub- and branch-projects, and is largely a success. 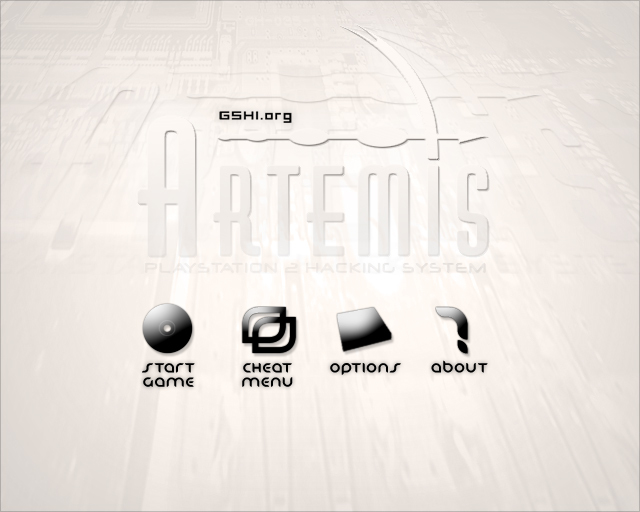 Artemis for PS2 is a collection of open-source, free applications that allow a user to dump PS2 memory repeatedly during game play (either to a USB flash drive, or remotely via a network cable to a PC), so as to compare these dumps, and the ability to force specific memory addresses to hold specific values (in order to test results of searches), to allow users to create their own cheat and enhancement codes for games. The project currently consists of PS2rd (PS2-side remote debugging application), PS2CC (PC-side remote comparison/memory search/memory editing application), IGMD (alternate PS2-side application, to dump to USB flash drive), and CL-LiveDebug (standalone, PS2-side hacking system in development). 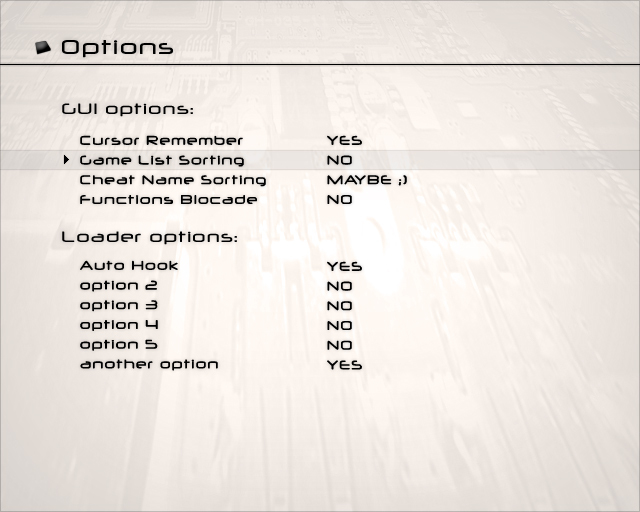 PS2-side components are built and maintained using the PS2Dev.org unofficial PS2SDK (a pre-built version of which can be found in the GameHacking.org Downloads section, entitled, "Win32 Pre-Built PS2SDK"). The goal of the project is to produce a fully-fledged RAM-hacking system, cheat system, and remote debugger for games and applications. If you have questions or would like to talk about the project, you can drop by the forums, or chat. If you hack anything using Artemis, please post it on the forums. 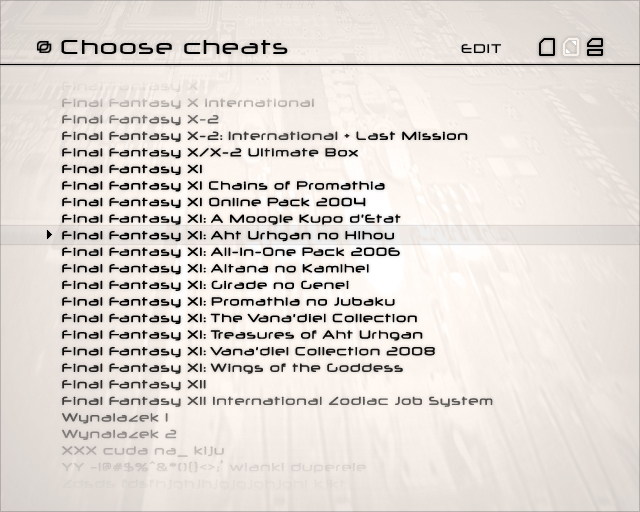 Note: In order to hack codes, you will require either CL-LiveDebug, both PS2CC and PS2rd, or one of the hacking system packages (which include both PS2CC and PS2rd).